The American Association of Law Libraries, like many organizations, uses committees "[to] perform the bulk of the work of the organization. Work to be done is delegated to committees and proposals are formulated by committees for final decision by [the Executive Board].” (Sturgis Standard Code of Parliamentary Procedure, p. 166). Committee work provides an opportunity for the AALL member to contribute to the professional association, thus partially fulfilling the professional's obligation to contribute to the profession as a whole. Committee membership is both an honor and a responsibility. Committee work requires a commitment to the profession and committee members are expected to actively participate in the work of the committee. 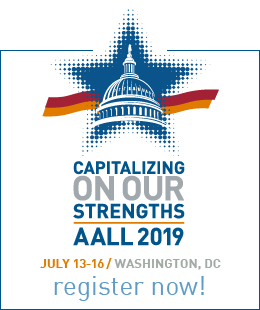 Recognizing that some employers are unable to support association work, AALL has established a procedure to reimburse committee members for out-of-pocket expenses such as phone calls, postage, photocopying, etc. Process Committees perform a continuing function and remain in existence until abolished. Policy Committees are those whose work involves complex issues of an advisory or policy nature. Policy Committees remain in existence until abolished. Special Committees are those appointed for specific tasks performed over a specific period of time. These may also be called Task Forces or Working Groups. The terms on the committees vary from one (1) to three (3) years, depending on the complexity of the work of the committee, the need for continuity on the committee. Finally, there are a few committees where the term will vary slightly from that of the normal committee such as the Appointments Committee or those committees associated with the Annual Meeting. 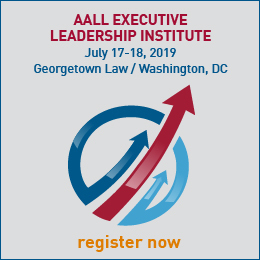 AALL committees are governed by the Bylaws of the American Association of Law Libraries and procedures, policies, and charges adopted by the Executive Board. The size of each committee should be appropriate for its responsibilities, as outlined in its charge. Generally, a committee, whether Process, Policy or Special, has six or eight members, plus a chair. The committee may have more or fewer members as appropriate to the nature of the committee responsibilities, at the discretion of the Executive Board. Appointments–Committee members and vice chairs are appointed by the Vice President/President-elect, drawing on the advice of the Appointments Committee and any evaluative materials available, in such a manner as to provide continuity for the committee. The Nominations Committee is appointed as indicated in the Association Bylaws. Term–Committee members shall serve a term of one, two or three years. For the two and three year committees, one member of the committee, in the second year of their appointment, shall be appointed by the Vice President/President-elect, as the vice chair of the committee. That person shall serve the committee as committee Chair during an additional third year. Qualifications–Most committees require no special qualifications, other than the willingness and commitment to work. Some committees have special qualifications which are included in the committee charge. Some committee work requires that the members be selected for specific expertise in an area. Some members may be appointed who do not possess the requisite knowledge, so that more members may be educated in the technical subject matter. Appointments–Committee members are appointed by the Vice/President-elect, usually with the advice of the Appointments Committee. During the term of office, the President may also appoint special committees, should the need arise. Term–Committee members serve a term specified in their charge, set to accomplish the purpose for which the committee was created. Should the committee fail to accomplish its task within the specified time, the term may be extended by the Executive Board. Qualifications–members will be chosen who will be able to accomplish the tasks specified for the committee. Where possible, the committee membership will reflect a balance of geography, library type, years of experience and other demographic factors. Obviously, in a small committee, representation of all factors is not possible. Moreover, because committees perform tasks which transcend geographical boundaries and library types, rigid adherence to balance, while preferred, is not required.